Studies show that brown skuas can not only steal seal milk but also recognize and attack every human who infiltrate in their territory. South Korean researchers found out that high signs pointing that Antarctic seabirds may be able to remember and recognize humans, even when they just visited them a couple times. Because of this, the researchers decided to conduct a study of this kind of birds. The investigations also showed that, in case a group of humans approached, the birds tended to attack the ones they had met before. Yeong-Deok Han, a PhD student at South Korea’s Inha University, was studying brown skaus –a particular kind of seabird living in Antarctica –with a team of scientist from South Korea, and he tells that during the investigation he had to defend himself against the skuas aggressions. “The birds flew over me and tried to hit me. Even when I changed my field clothes, they followed me. The birds seemed to know me no matter what I wear.” said Yeong-Deok Han. 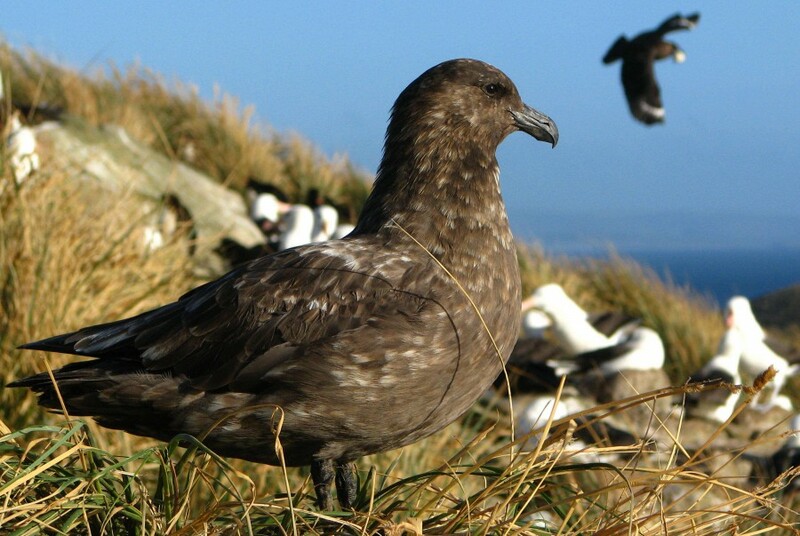 According to Laboratory of Behavioral Ecology and Evolution at Seoul National University, the researchers measured eggs and nestlings once a week to keep an eye on the breeding status, and that’s when skuas approached to attack. The researchers wanted to prove if brown skaus could really differentiate the scientist who visited the nests before from the ones who didn’t, so they ran a test: a human that accessed the nest before and a neutral human –that never accessed the nests before –came closer to the nests and walked in opposite directions. It turned out that all seven skua pairs followed and attempted to assault the nest intruder but they didn’t even pay attention to the neutral human. Clever birds that live among people, as the crows, magpies and mockingbirds, have the ability to distinguish individual people, still the fact that brown skaus could do the same living in such a remote area took South Korean scientist by surprise. Previous studies have already exposed the smartness of skuas through actions that we –the humans –recognize as signs of intelligence. For example, they’ve been seen stealing food from other birds, stealing breast milk from nursing elephant seals and it’s even been proved that they can hold grudges. Dr. Won Young Lee, a Senior Researcher from Korea Polar Research Institute who led the research, thinks that skuas have very high levels of cognitive abilities. He added that they believed, while this Antarctica’s birds keep living near humans, they could acquire the discriminatory abilities. The findings of the researchers were published this month in the journal Animal Cognition.